The YETI 129 SS is powerfully designed for the aggressive rider who wants the ultimate feel of a MX bike. Featuring “Camso 10'' Snow Bike Track", a rider can rip through the mountains with the nimblest feel. An industry first “SOFT STRUT” providing 1/2'' of movement. Adding compliance under heavy load without affecting deep snow performance. Allows low speed compression adjustment to adapt different types of riders. 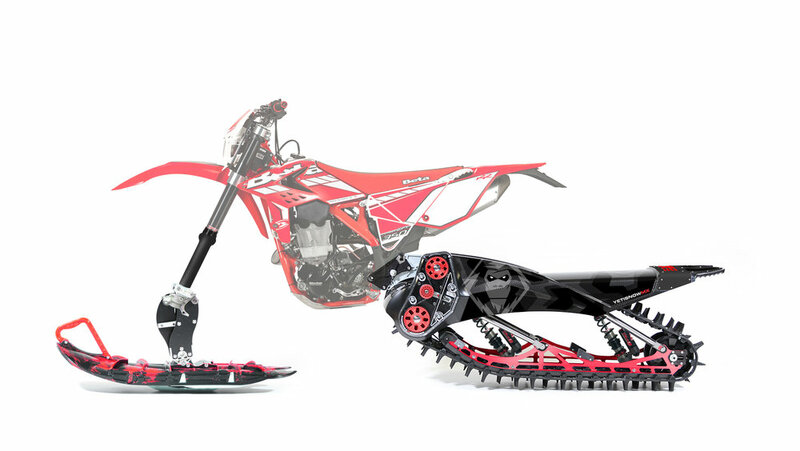 NEW CAMSO SNOWBIKE TRACK 129" X 10" X 2,5"
Lightweight 129-inch track, 10 inches wide and deep 2,5 inch lugs. Designed with the aggressive rider in mind, it provides better traction off the line, less rolling resistance. Higher load capacity at lower track tension , no ice buildup. Better manufacturing, durability and load capacity.